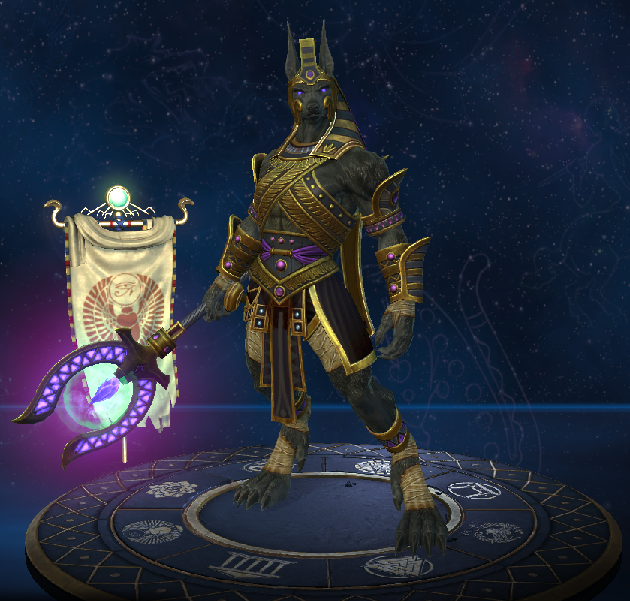 Greetings traveler, I'm glad that you decided to take a look at this guide about Anubis, my favorite character in Smite. When I first played as Anubis, I just couldn't make a good use of this god, and it took a substantial amount of practise before I felt quite effective with him. Since then I have achieved a decent quality of gameplay and am confident enough as to share my experiences. Hopefully some of the information provided about various issues mentioned below will prove useful to you and, who knows, maybe you'll also fall in love with this character. Feel free to message me should you have any further questions or feel like discussing some topics. My in-game name is Daelinn as well. "I am not a dog, I am a god! Get it right." 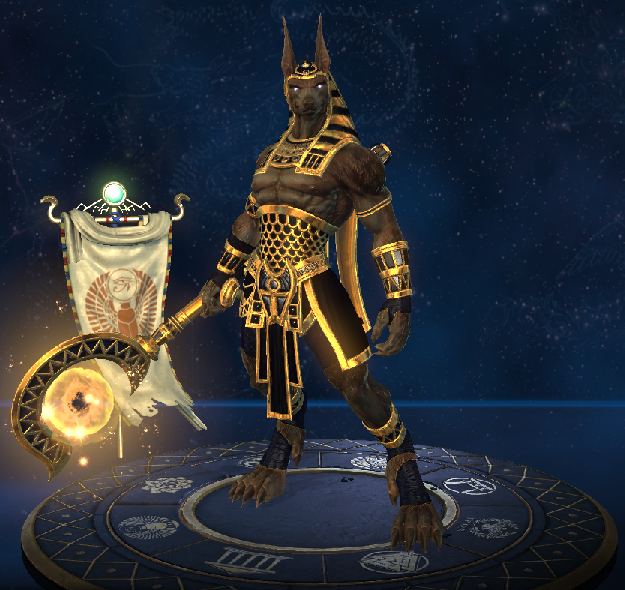 Anubis was designed for ancient times in Smite, back when it wasn't common for every character to have multiple crowd control or escape abilities like nowadays, and his damage was way easier to confirm. The damage though, is the thing Anubis excels at- he is the god of the dead after all, and not without reason: he'll gladly introduce his enemies to their afterlife given the chance. Yet, as everyone, he has his flaws- he belongs to the mage class, having extremely weak defensive capabilities and low health, furthermore he has very limited movement potential, partially on account of his low base speed, but also because of lack of any escape abilities. a typical mage would have died. First of all, it passively reduces the duration of all Crowd Control effects on Anubis by 30%, which is an useful bonus allowing better chance of survival against stuns and all the pesky roots/snares, however it has no effective impact on displacement abilities like for example Ares' or Xing Tian's ultimates. Secondly, every time Anubis deals damage with an ability (every tick counts) or uses Mummify, he gains a stack of Sorrow, stacking up to 3 times for 5 seconds or until refreshed. With every stack, 7 points of magical and 7 physical protection are stolen from the affected target (which equals 21 protections stolen at 3 stacks), meaning that Anubis gains them at the cost of his enemy for the duration. Last but definitely not least, mentioned above Sorrow stacks also increase Anubis' magical lifesteal from items by 33% per stack, effectively doubling his lifesteal at 3 stacks; for example with Bancroft's Talon at 3 stacks of Sorrow Anubis has 24% magical lifesteal instead of the default 12%. All things considered, his passive is meant to help him with survivability, which he lacks, by raising his protections and improving sustain, thus allowing for better 1v1 fight potential. Anubis' first ability is an interesting, yet risky one. It comes in form of an about 120 degrees wide cone with limited range which lasts for 3 seconds and has a tick every 0.5s, allowing to rotate during the cast, but in turn roots Anubis in place for the duration. Due to its range and the self root it forces, Plague of Locusts makes Anubis even more susceptible to the enemy damage, allowing for certain confirmation of most of their abilities, thus requires practise with proper positioning. Last thing worth noting about this ability is the knockup immunity for its duration, which makes it impossible for some other mages' abilities, like Poseidon's Tidal Surge, He Bo's Waterspout or Vulcan's Magma Bomb to interrupt it. Furthermore, when timed correctly it can deny some of the enemy's kill setups, with for example Hercules' Earthbreaker, or Awilix Moonlight Charge into Gravity Surge combo. Here we are, one of the Anubis' most recognisable moves: Mummify. Being a long-range bandage projectile, it belongs to the best single target stuns in the game, and provides that much needed bit of utility in Anubis' kit. At maximum rank its duration equals 2 seconds, which provides a considerable amount of time for an offensive setup, or serving the purpose of an "escape". Its only downside is the fact of being a narrow skillshot, on the other hand providing much satisfaction upon succesfully landing it (aspecially when predicting the direction of an invisible target), and being able to reliably hit it is the main requirement for efficiency with Anubis. It is commonly used as a part of the ability combos; having placed Grasping Hands beneath an enemy into a Mummify makes him suffer the damage from more, at best all, ticks. This combo can be further improved by the usage of Anubis' ultimate, Death Gaze, to drastically increase total damage done. Nevertheless, Mummify has a considerable cooldown and is not to be wasted without reason. Additionally, Mummify passes through minions but doesn't go through walls. It is the safest of all Anubis' abilities. Not only does it have a long range, with itself being a placable on the ground circle with considerable radius, but it also applies a 25% slow to every enemy standing or passing through it, allowing for better damage confirmation and easier Mummify aiming. It lasts for 2 seconds with a tick applied every 0.5s. From non-ultimate abilities, this is the one that is recommended to level up with the highest priority, for it offers good wave clear without stress, as opposed to using Plague of Locusts. Its damage is also not to be underestimated, with 25/40/55/70/85 (+35% of magical power) every tick and up to 100/160/220/280/340 (+140% of magical power) provided that all ticks hit. The in-game tooltip for this ability simply does not express its brutality. It is what Anubis is known for- a long range laser lasting for 3 seconds and (suprise) dealing damage based on ticks, with a tick every 0.1s which means 30 ticks dealing 23/28/33/38/43 (+15% of magical power) each, and up to 690/840/990/1140/1290 (+450% of magical power) damage, being the most damaging ability in the game. Used at the right time it simply deletes the health bar of enemy squishies, and has a huge impact on tanks' and objectives' health as well. That being said, it has a crucial flaw which prevents it from being the ultimate ability of Smite- as in case of Plague of Locusts Anubis roots himself in place for the duration (fortunately allowing to rotate), becoming very susceptible to any counter fire, this time however he also becomes totally immune to crowd control while casting. Thanks to that fact it also has a defensive potential; it can deny displacement by various enemy abilities, some of the most notable being Ares' No Escape, Xing Tian's Whirlwind of Rage and Steel and Fenrir's Ragnarok. Additionally, Death Gaze passes through EVERYTHING, be it minions, walls or multiple enemy players, so it's impossible to bodyblock it. The name of this section will probably be self-explanatory to anyone familiar with games in general; some abilities will be yielding wonderful results when used in conjunction with the others- it all comes down to their sensible usage at the right time. It is the safest mean of confirming damage on the opponent- to immobilize him with Mummify under the influence of Grasping Hands, and can be cast from quite a long range. There are 2 ways, depending mainly on preference but also on other circumstances, how to perform this combo. First way is to use Mummify, and place the Grasping Hands under the enemy while the bandage is on its way to the target, which makes both abilities hit almost simultaneously when cast from a long range. It is a good way to achieve some poke on targets that have an escape ability available, as it will make them suffer from at least 1-2 ticks even if they dash away immediately after the stun from Mummify ends, because of the abilities hitting at the same time. It has its downsides though: on lower levels the duration of Mummify is quite short, which, paired with Grasping Hands being tick based (they deal damage every 0.5s, starting after the first 0.5s has passed) means that the target will be locked down only for a very brief amount of time, wasting the precious stun duration. That's where the second option comes to play- to use Grasping Hands beneath an opponent and immobilise him with Mummify immediately after. It is potentially the more efficient option overall, as the target will take damage before the stun even begins, and paired with the following Mummify effect is likely to result in all ticks dealing their part of damage. It also is a preferred order of ability usage when the Anubis player is still not confident with his Mummify aiming, as it won't waste his mana on the Grasping Hands when Mummify misses its destination. Hovewer, the window of time between the two abilities gives the opponent a moment to react in case of him having an escape ability, making Anubis waste his mana on the combo with very low efficiency. If you can trust your aiming skills and/or the enemy target has the potential of dashing/jumping: use Mummify + Grasping Hands to ensure at least some of the ticks. It is a serious improvement over the poke combo in terms of pure damage, but that's compensated by the dangers Anubis has to put himself into in order to perform it. The reason being Plague of Locusts' short range, paired with the self root it forces- you might want to restrain yourself from using it in big teamfights, aspecially when being in the center of attention- it will do more harm than good, as every enemy will switch his damage to poor, rooted Anubis, almost in melee range. However, do not hesitate to use it as a serious harassment should you catch an enemy alone and off-guard. Basically- the hard poke combo on steroids (which itself has some kill potential); it is the crowning achievement of Anubis' damage capabilities. Use it preferably on high priority targets, after making sure they don't have their Sanctuary available- lategame it has the potential of deleting someone's full HP bar, and having a big impact on tanks and objectives. The combo itself has a decent range, as it doesn't include Plague of Locusts, but it still roots Anubis in place for the duration- take care of your surroundings first before attempting it. This item is crucial on Anubis. It offers lots of raw stats, including substantial amount of HP which is a thing Anubis definitely lacks, as well as a good chunk of magical power. On purchase it provides 300 HP, 400 mana and 50 magical power, but also starts the progression of earning stacks. 1 stack is gained every minion or jungle monster kill, and delivering final blow to the enemy player grants 5 stacks, with every stack giving additional 3 points of HP and 0.6 points of magical power. Stacks cap at 100, at which point Warlock's Sash is providing 600 HP, 400 mana and 110 magical power. I would strongly recommend getting used to this item on every mode that isn't extremely fast paced like Arena or Assault, as the advantages it gives are well worth their price. Also, Sash is at best bought quite early into the game, in order to start stacking it as soon as possible. It is a stacking item like Warlock's Sash with the same way of gaining stacks, but instead of being a Jack-of-all-Trades, it simply increases magical power and mana. However, the increase is a drastic one, and can serve as a part of glass-cannon one-shot builds. Upon purchasing, it gives 100 magical power and 125 mana, with + 10 mana every stack, stacking up to 75. Oh, and it also gives a passive which grants additional magical power equal to 3% of maximum mana. On lvl 20 with maximum stacks Anubis will have 2315 mana (can be more of course if one decides to buy more mana increasing items) which will mean an additional 69 power from the Book's passive, giving 169 magical power from a single item. There's an option of combining this item with Warlock's Sash, called double-stacking which is an extremely late-game oriented tactic providing a great deal of power upon completing all stacks. Its downside on the other hand is the fact of these items being very expensive, and buying them will put you in a disadvantage as the opponent will most likely have finished 1 or even 2 more items already. Only attempt it if you feel confident at efficient farming and know for sure that you won't lose your lane. 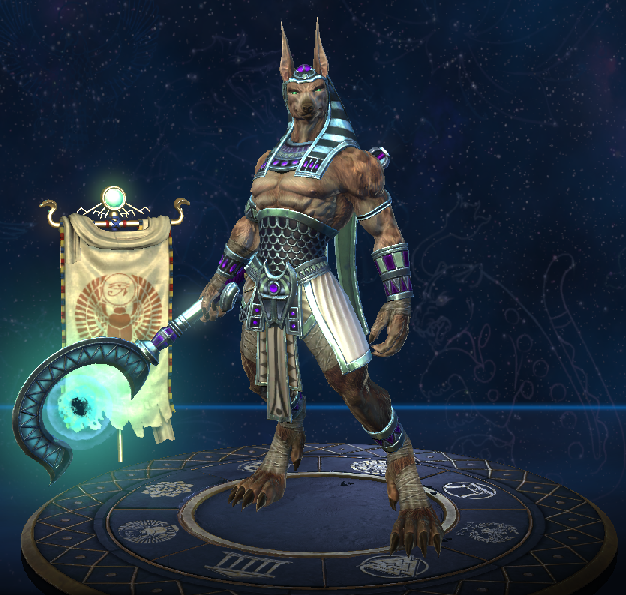 Its stats are beneficial for Anubis; it offers raw 100 Magical Power and 12% magical lifesteal, + a situational passive. The way the passive works is that it increases owner's magical power by 1 point per every 0.75% of health missing (giving additional 100 power when being at or below 25% HP). The only problem is that for the passive to become relevant Anubis must have lost a lot of his HP, at which point he is an easy prey for the enemy jungler. But there's always a possibility of it being extremely useful, for example when ganked, with most of the HP gone- the only option for Anubis is to stand his ground, which might result in killing the attacker due to increased power. However, Bancroft's is quite cheap and thus can, depending on the situation (like for example when starting with Talon Trinket) provide an early power spike granting the possibility of starting overwhelming the opponent. I wouldn't recommend this tactic for beginners though. 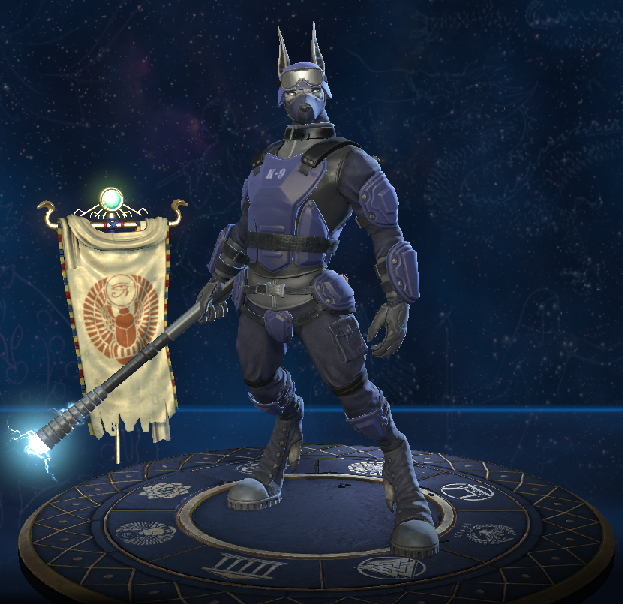 On the other hand, Bancroft's Talon has proven extraordinary helpful on Arena (Great guide to which mode has been provided by Branmuffin17)- due to its layout Anubis has even less chances to escape than normally, which forces him to put up almost every fight. Because of that he'll often find himself lacking HP, which increases the Bancroft's passive value. This item is most of the time a better option than Bancroft's Talon (even more with its buffs- now it is even as cheap as Bancroft's) simply because of its reliability and utility. It offers 60 magical power, 15% magical lifesteal and 10% cooldown reduction. At this point it would already be totally worth buying, but it also applies an aura giving additional 30 magical power and 15% magical lifesteal. Aura is definitely a subtle help to every magical based ally nearby, but it applies to the wielder as well. Remember Anubis' passive, Sorrow which increases magical lifesteal from items? It means that this single trinket will effectively give Anubis 60% of magical lifesteal, since its buff to lifesteal in 3.16 patch, giving him a lot of sustain and incomparably greater 1v1 potential. It is worth mentioning that the quite popular tactic of buying double-lifesteal items is probably no longer worth it, as 65% is the cap for ths stat. This item is best bought on modes like Arena and Assault as a substitute for the Warlock's Sash, as it provides 250 HP, 250 mana and 90 magical power, but doesn't require any stacking. However, its main asset is the passive: every time an enemy is damaged by Gem owner's ability, he suffers from a 25% movement speed slow for 2 seconds. Ouch. Just imagine how it works combined with the 25% slow from the Grasping Hands- it means that your victim will move with approximately 56% of his unhindered movement speed (as the penalties are multiplicative, not additive). Buy this if you want to cripple enemy's mobility, granting your team positioning advantage, need a mean of "escaping" or just feel like watching everyone trudge trough your abilities. The 25% slow provided by the Gem of Isolation can additionally have a great positive impact on confirming the damage from Death Gaze and Plague of Locusts, making it a lot harder for the enemies to escape their areas of influence- it'll be refreshed with every single ability tick. Even more with the cooldown reduction nerfs at the beginning of Season 3, and their Shoes of Focus counterpart providing only 10% cooldown reduction, Shoes of the Magi are in general the best choice for a pair of boots for Anubis, aspecially in the early to mid game phases. They provide solid 45 points of magical power (5 more than Shoes of Focus), but their main asset is the 10 points of magical penetration, which is quite a valuable stat, cooperating well with Sorrow stealing enemy's protections. Shoes of Focus are still a solid choice though, what is even more true if Anubis' penetration item happens to be an Obsidian Shard (more below). With the increase to magical power by 10 points in patch 3.17 though, Shoes of Focus can ultimately replace Shoes of the Magi in the late game build, as the utility provided by 10% of cooldown reduction will probably be more helpful than 10 flat points of penetration, considering percentage penetration is generally preferred after opponents reach high enough defence levels. 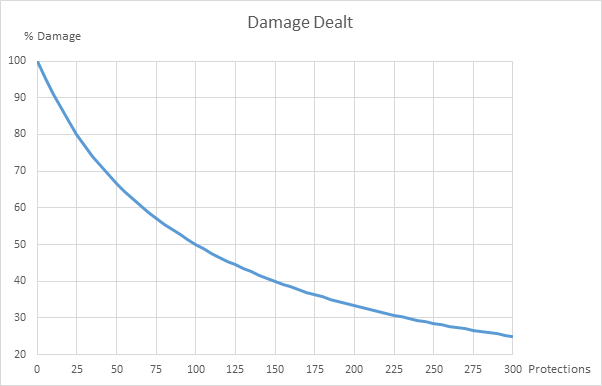 With the Spear of the Magus nerf in patch 3.2 (it no longer reduces target's protections by a percentage, but only by a flat amount) it is no longer the best penetration item for every single scenario, but thanks to the Anubis mechanics it still remains a preferable choice in many cases. It gives 50 magical power and 15 magical penetration, and further reduces enemy magical protection by 10 points for 5 seconds every time they are hit with your ability, up to 3 times- what works well with all of Anubis abilities being tick-based, meaning that the 3 stacks of debuff on the enemy are going to be very easily achievable. It is more of a late-game and anti-tank option for a penetration item, providing 60 magical power and 33% of magical penetration (it means that an enemy with 100 magical protection will take damage as if he had only 67, with 200 as if he had 134 and so on). As a side note, Obsidian Shard will provide noticeably more damage against structures (towers and phoenixes). Considering its efficiency against players, take a look at a little theorycrafting paragraph at the bottom of the section. Well, this item is a mage's best friend. It gives 125 magical power on its own, as well as passively increasing total magical power by 25% (and because of that its base magical power increase is actually 156), + regenerates 15 mana per 5 seconds. There's absolutely no reason not to buy it, as after the purchase damage done by all abilities is going to be vastly improved, what is an even more desirable outcome on Anubis, who is all about the damage. Its only downside is quite an exorbitant price, so it's best to wait until late game before buying it (as it will also provide the best effects from its passive then). Gives 75 magical power, restores 25 mana per 5 seconds and lowers the cooldown on all abilities by 20% (take care, as more than 40% cooldown reduction cannot be achieved). Useful on hectic modes based mainly around constant fighting like Arena, Assault or Clash. With 135 protection (achieved purely by buying Breastplate of Valor, which also offers some helpful utility stats) enemies with no penetration would deal only about 43% of their damage against Anubis, and a typical hunter with common Season 3 build with Titan's Bane providing 33% of physical penetration would deal about 54% of his potential damage. One thing is certain, if there's a Loki on the enemy team, I would strongly recommend buying Breastplate of Valor, in order for him not to be able to just one-shot Anubis with his ultimate combo. I have to admit that defensive items on mages are quite a debatable topic as many people have the opinion that they're supposed to build pure damage, but I'll try to provide some reasonable explanation regading this item choice. This life-saving cloak gives 40 points of physical and magical protections, as well as reducing duration of crowd control effects on the owner by 20% (which with Anubis' passive achieves the 40% cap of this stat), but also reduces the cooldown on all abilities by 10%. Yet the main asset of Spirit Robe is its passive: every 15 seconds, whenever you're hit by a hard crowd control effect (these are stuns, silences, fears and all displacement abilities- basically everything excluding slows, roots and cripples) your damage taken is reduced by 15% for the next 3 seconds. This passive can easily mean the difference between life and death in current crowd control-heavy meta. Let's imagine: Ares hits you with No Escape and is about to pull you to his team, but both your beads and ultimate are down so you're inevitably going to be displaced to an unfavorable spot. But you then gain the effect from Spirit Robe's passive, and who knows, maybe are even given a Geb's Stone Shield. The considerable amount of HP in that moment paired with the fact of taking 15% less damage greatly increases chances for survival by raising the total effective health. and because of also being a hard crowd control, you'll take 15% less damage during those 3 seconds. All things considered, Spirit Robe is my personal favorite choice for a defensive item against a balanced team, providing various utility stats and increasing survivability. After all, you're not going to be dealing any damage while being dead, are you? An honorable mention; Mantle of Discord can be considered as a late game defensive item, potentially as a replacement for Spirit Robe due to its increased protections (60 physical and 60 magical) and cooldown reduction (15% as opposed to 10%). Yet its passive isn't always a straightforward upgrade over Spirit Robe, I'd consider it more of a sidegrade- instead of providing damage mitigation when hit by hard CC effects, this cloak grants CC immunity for a short while and unleashes a small radius AoE stun when its owner's health goes below 30%. Cooldown on this passive is pretty high though, activating only every 90 seconds- but it can prove really helpful during that last late game teamfight; allowing to survive an otherwise fatal situation. Situational lifesteal item, bought when countering a healer like Aphrodite, Guan Yu or Hel is necessary, and no one in the team built healing reduction items like Pestilence or Brawler's Beat Stick. It gives 65 magical power, 15% magical lifesteal and 150 mana, but the only reason why you should ever consider buying it is its passive: whenever you damage an enemy with one of your abilities, it reduces all healing and regeneration effects on them by 40% for 8 seconds (this includes lifesteal effects). Purchasing it can also be considered when enemy team has many characters with self heals like Hercules or Tyr as it will cripple their sustain. It used to be a very inefficient item regarding pure stats until its buff in 3.16, but now with 15 additional power it probably won't give the feeling of having an almost empty item slot in a finished build. Nevertheless, the issue of healing reduction should still be first handled by supports buying Pestilence and/or warriors with Brawler's Beat Stick as these items are well itemised, providing the valuable passive at the same time. With recommended items; Spear of the Magus itself providing 15 magical penetration and reducing target's magical protection by 30 points, Shoes of the Magi granting 10 magical penetration and Anubis' Sorrow stealing 21 protections from the target, that equals a total of 76 magical protection ignored on the enemies, allowing to deal true damage to enemies without any magical protection items (mages, hunters and assassins most of the time), as well as being more efficient against enemies that have only 1 magical defence item. Let's take a look at a typical warrior; on lvl 20 he has base 31 + 0.9 per level magical protections and is likely to have bought a Bulwark of Hope giving an aditional 60 points, resulting in 108 points of magical protection. With Anubis ignoring 76 points the warrior is left with 32 points, whereas in case of Obsidian Shard (ignoring 33% of total protection) he would have (108- 21 from the passive)*(0.67) - 10 from Shoes of the Magi = 48 points left. However, Obsidian Shard provides percentage penetration, meaning that at high enough level of target's protections it'll surpass the flat amount provided by the Spear. That will happen when (X-21)*(0.67)-10<X-76 (with X meaning target's protection level) function will become true, and this will be the case when X exceeds approximately 157 points. Of course in terms of effective damage this function will prove true at some lower levels of protection, because of Obsidian Shard giving an additional 10 magical power over the Spear, what's even more true thanks to the increased magical power scaling from Rod of Tahuti but it depends on many other variables as the ability scaling with power for example, and would require separate calculations for every single ability. All in all, Spear of the Magus is still the first choice for a penetration item for Anubis, unless the enemy frontline builds more than one magical protection item and contains the majority of the enemy team, or happens to be a greater threat that must be dealt with with a higher priority than the typical damage dealers like hunters and mages. However, in case of a prolonged game where every enemy built defence items Obsidian Shard will provide better overall damage thanks to its percentage scaling, and increased power over the Spear. Therefore, my recommendation would be to replace Spear of the Magus with Obsidian Shard as one of the last item purchases late into the game. 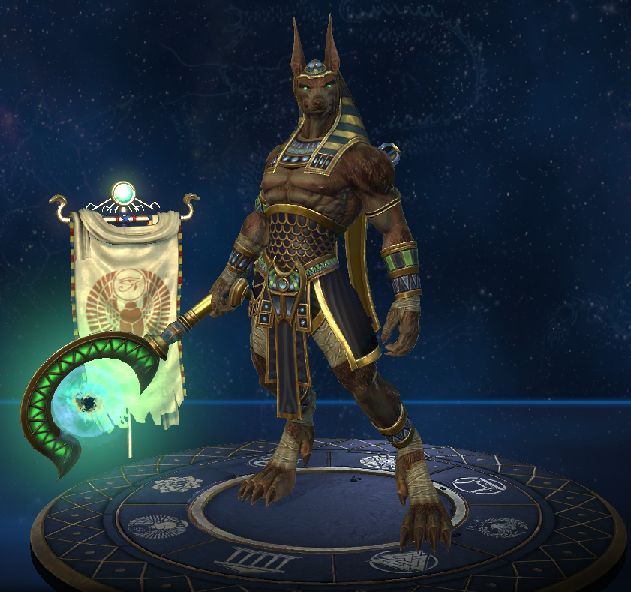 Anubis does not have a really weak phase in the game; actually on levels 1 to 2 he is amongst the best gods, with a lot of damage potential. His main weakness comes from his absolute lack of mobility- and if he falls behind, it'll take a lot of time for him to become relevant again. The enemy jungler will try his best to make a good use of this fact, and is likely to show up in your lane quite often. That's aspecially the case when you are given an unfavorable matchup like against Isis or Janus- all you can do in such case is to play a safe, farming game until the teamfight phase begins; other times you'll have an easy lane and will be able to push your lead over the opponent. Nevertheless, whatever you do, always, ALWAYS keep an eye out on the minimap. It can provide you with information where the enemies, aspecially their jungler currently are. Furthermore, your gameplay will become better the more you know about your opponents and their possibilities; so don't get discouraged and just keep training! Or laning phase- basically all you want to do is to farm, preferably more efficiently than your opponent. It can be achieved by helping your jungler in clearing experience camps, as well as preventing the enemies from doing the same. As you might have noticed, it is recommended to put a point in Plague of Locusts on the very first level instead of the safer Grasping Hands, and that's because Plague of Locusts has higher base damage, sufficient to clear a full minion wave on the first level already- which opens possibilities for poking the opponent. If you happen to win a lane against your opponent; and he is forced to go back to base, you can consider a quick rotation to one of your teammates' lanes to hopefully help them secure a kill- but minion waves and experience camps should be given the priority most of the time, as when you fail to kill an opponent during your gank all you have done was to waste time and possible gold and experience that could be gained when staying in lane. It is the time when you hopefully have bought and progressed a bit on your stacking item, and have a pair of boots and some lifesteal aswell. You should still farm lane when possible, but now it will be a lot easier, probably feasable to clear a whole minion wave by putting a single Grasping Hands. It is when the teams will start grouping up more, creating the possibilities for teamfights. In such cases, you'll want to stay behind and wait until the fighting begins- then you'll have the chance to catch somebody off-guard and out of position creating thus a kill possibility with a Mummify, that can be followed by damaging abilities. You should save your ultimate to combo it with your team in order to secure a kill on high priority target, like an enemy mage or hunter. If your team happens to win a fight and most of the enemies are waiting for respawn or were forced back to their base, it is a great moment to attempt a Gold Fury takedown- it'll provide your team with considerable amount of gold, and if you still have your Death Gaze available; do not hesitate to use it on Gold Fury; thanks to its damage you'll be able to kill it a lot faster and be on your way back to the lane or base. Now is the time for Anubis to shine- he can provide his team with that needed damage to either wipe out the enemy team or smoothly secure a Fire Giant or even Titan kill. Someone hastily engages on you? Too bad for him, he's literally deleted by your abilities. As long as you're alive your team is likely to win most of the damage races, and has the potential of rushing the Titan given the chance. In case your team storms into the enemy base hoping to end the game- do not try to get kills, just treat the Titan with Grasping Hands and Death Gaze; you're able to do damage equaling more than half of his HP with this combo. Even more when queueing alone, you can't always rely on your teammates informing about their lane opponents missing- though it's a kind gesture if they do. With that in mind, it is you who have to be responsible for your own safety regarding potential ganks and suprise rotations. Here are examples of decent spots to place wards during the laning phase: more information about warding in general can be found in the Overaching Conquest Guide. These are some examples of popular mid-lane opponents in Conquest game mode with tips, adressed mainly to beginners, what to watch out for when facing them. Keep in mind though, that the gameplay will be also affected by both teams' junglers, as mid lane is a common stop for them. He has good sustain just as you do because of his ground-targeted area heal, Solar Blessing. He is likely to be putting it in the middle of fighting minions, as the heal also applies to them. Fortunately his main damaging ability, Celestial Beam is quite easy to dodge, and if he tries to focus on poking you with it, then he'll lose his tool for clear. Furthermore, Ra also doesn't have any escape, and if you find a window of time where he is poked a bit already and his Purification or Sanctuary are down, you can pretty much kill him with full combo of Mummify, Grasping Hands and Death Gaze. His main way of dealing damage is to place his Whirlwind- fortunately it takes a bit of time after its appearance before it starts dealing damage, but then it leaves a damage-over-time effect. So even if he places it on you, just run away immediately and you may be able to get out of it unscathed. His ultimate, Spirit of the Nine Winds is, well, one of the most telegraphed ones in the whole game, and very easy to dodge (unless he catches you in some narrow chokepoint with it) if he hasn't applied his slow from Zephyr on you. Of course you should still get a Sanctuary, just for safety. Her early game clear is really bad, you can safely make a good use of this fact and play more aggresively. After levels 7-8 however, she's able to deal damage easily sufficient to kill you if she lands her whole combo- take care to dodge her Sic 'Em which moves on the ground in a line, and roots first target (on maximum rank the root also spreads to 2 targets nearby) allowing her to hit you with Crush, setting you at low enough hp that her ultimate will kill you. Fortunately, Sic 'Em stops on minions so you can use that to your advantage. A thing worth remembering is her ability to summon a Sentinel on the ground, with quite long range- within 5 seconds she can activate it again to move quickly to that location, so unless you saw her using it very recently, always assume it's available and do not go all-in trying to get a kill. Sanctuary will be a helpful tool for surviving her ultimate, I'm a Monster. Do not stand in his Noxious Fumes. He can ignite them using any other ability, detonating them and applying a stun. After hitting level 5 he doesn't have a typical ultimate ability, but earns instead the possibility of summoning a meteor with Rain Fire every 20 seconds (he can store up to 3 of these), that doesn't require mana to use- it has considerable animation time and it's possible to avoid damage from these. Unless, of course you get stunned by his Noxious Fumes, allowing him to burst you with all of his meteors. He is not that easy to kill because he has a long range, quick dash, Path of Flames which aditionally leaves trails of fire on his path- they deal damage, and he can summon his Noxious Fumes on them, resulting in a stun if you are standing nearby. Sanctuary will be the best relic choice- when you get stunned and are about to get meteored few times you can negate much of this burst. As soon as you're certain he is going to be your lane opponent, make sure to grab a Sanctuary relic. That's because the only way he can kill you is by using his ultimate, Release The Kraken!, damage from which can be totally negated by using mentioned relic. Try not to stand in your minions, as the ability which he is likely to be levelling up first, Whirlpool deals a considerable amount of damage and is also pulling every target affected by it towards the center, making it harder to get out. Also, in case where you both run out of abilities, do not try to fight him on an auto-attack fight- he'll win thanks to his Trident, where his attacks will fire 2 additional shots in a spread. Other than that, he also doesn't have escapes besides from a slight movement speed buff so finding an open opportunity is likely to result in a kill. Most important thing to remember is that his Inferno Cannon (turret which he'll be putting on the ground) hurts a lot. Aspecially if he's levelling it up first- don't even think about engaging him without minions with his turret on the ground. On default it'll prioritize minions over you, unless you are hit with Vulcan's Backfire, at which point you'll get marked for 4 seconds and during this time the turret will always target you over everything. When clearing waves, try to use your abilities in such way that they hit minions as well as his turret; that'll make him waste more mana on creating a new one. He doesn't have escapes, but his Backfire pushes him back a little bit, so he can use it to dodge your Mummify; check his reflexes first before trying to go for a kill. Also, get Sanctuary. His ultimate, Earthshaker has quite a long travel time, but also a large radius and deals tons of damage; late game it'll be close to oneshotting you. Main ability to watch out for is Stellar Burst- when her hands start glowing that means her next auto-attack will create an explosion in a considerable radius, that deals damage twice and applies a movement slow. Furtunately it's her only way to efficiently clear minions, and it can be dodged quite easily if you know that she's going to use it on you. Her Radiance heals her a little bit and deals slight damage to any enemy standing in it. Sol also has an escape ability in form of Disapparate, when she begins to phase out and disappear, which takes 3 seconds.During these 3 seconds she has increased movement speed and slow immunity. After that time she's immune to damage and crowd control for a short duration. Her ultimate, Supernova can hit quite hard depending on how many strikes out of its 8 reach you, but it's hard to aim and easy to dodge- she'll probably only use it when you are at low HP already. Sanctuary adds even more safety to this matchup. The king of the gods has the potential of ruining your day with his absurdly high damage outpot, but don't worry- he has even less utility than you do because of lack of any escapes and stuns. First of all, he can throw his shield with Aegis Assault dealing damage and allowing him to attack it, making his auto-attacks deal damage to every enemy standing in the circle under his shield. What's more, he can use Chain Lightning on his own shield, so that it bounces off it and can easily hit you. His worst, as it has no real counterplay, ability is called Detonate Charge. It deals lots of damage on its own, that can be further multiplied by the number of charges he applied to his enemy. He applies a charge with every attack and Chain Lightning bounces. Fortunately the bounces prioritize the minions, but take care when you're alone in the lane. Detonate Charge doesn't have any range, it is just used to detonate his charges on you, and with 3 of them it can easily deal damage equal to 40-50% of your HP, so do not stay in the lane if your health bar is getting low. His ultimate, Lightning Storm doesn't deal that much damage, but easily applies his charges allowing to detonate them. If you're low on health, have charges on you and Zeus hasn't used his detonate recently- try to use Sanctuary, as incoming Detonate Charge will kill you. If you catch him with his relic on cooldown though, and preferably right after he used his detonate you can try to get a kill as he won't be able to run away. He is in a sense similar to Anubis- he can delete your health bar in a blink of an eye just as you can eliminate his. That's due to his abilities having very high damage levels, while also being on relatively short cooldowns. He has a short range cone called Water Cannon, and main threat in form of Waterspout, which summons a geyser damaging enemies and knocking them up in the air. Add to that his ultimate, which transforms him into a wave that crushes forward dealing tremendous damage and here we have an opponent with combo that can potentially empty your full HP bar. He also is able to summon a scroll of water in a line with Atlas of the Yellow River, which slows his enemies and gives him improved movement speed. You'll want to have Sanctuary against this one for his ultimate, and generally you'll want to keep your distance- his Water Cannon and Crushing Wave have relatively short ranges, and you'll be able to restore the damage from his geysers through lifestealing from minions. If he overextends in this fight you can easily win this one. That's because his escape ability, Thunder Crash deals also a considerable amount of damage and Raijin is likely to use it offensively at some point- if this happens, do not hesitate to punish him properly. His main wave clearing ability, Percussive Storm has a quite long animation and can be effectively interrupted by your stun. Last of his abilities is a mark called Raiju- if he places it on you just back off until it expires; the next ability OR auto-attack made against marked target deals enormous damage. His ultimate, Taiko Drums can be used to simply deal damage or deal less damage but applying a fear or taunt, making you lose control of your character for that time. You'll be most likely able to win a damage race against him, but most important thing is not to let him hit you after applying a mark- it creates too much burst damage for Anubis' miserable health bar to handle. If he tries to kill you, his plan will probably look like this: apply a mark, teleport onto you dealing large burst damage and then finish you with ultimate or Percussive Storm. Fortunately, his teleport has a slight delay, during which you can use Sanctuary to totally negate all of his burst potential, allowing you to defeat him without problems. Isis is an opponent to be reckoned with, as she has great waveclear, a stun and a silence. Her Spirit Ball gains power from distance traveled , thus you really can't let her hit you with this ability from long range- you'll get stunned allowing her to finish you with Wing Gust. Her Wing Gust can at least be interrupted by Mummify, hindering her damage on you and minions. She doesn't own any true escape abilities but still brings a lot of utility with her- Wing Gust gives her increased movement speed, Spirit Ball applies a stun on impact, and last non-ultimate ability is a ground-targeted silence, Dispel Magic that also slows her enemies. As an ultimate, she has the ability to summon a staff on the ground creating a large Circle of Protection. Isis and her allies take reduced damage while standing on it, and damage done to them charges the staff. After few seconds have passed, or when she activates it again which can be done instantly, the staff explodes healing her allies and damaging enemies. Because of that you don't want to engage her in an all-in close combat, as she'll live through your combo thanks to the Circle of Protection and detonate it healing herself as well as dealing serious damage to you. In this fight Purification will be a helpful tool to quickly escape the stun if it hits you in an unfavorable position. It's simply an uphill battle for Anubis. Janus not only has excellent wave clear, but also devastating ability combo, not to mention his extremely high mobility. First of his tricks is called Portal. It is as the name suggests, ability that can create passages through obstacles including walls, which he or his allies can use to quickly travel around the map. Portal can also be placed on the ground, in which case it becomes an offensive setup for his other ability, or a place in which he can "hide" for a short duration. When placed on the ground, he can enter it, and appear above the ground a moment after, allowing to avoid the damage that would have been done to him in this time. When he places his portal beneath an opponent though, the victim falls beneath the ground to appear above after a while, but he also suffers from considerable amount of damage, and the worst is yet to come, as Janus has an ability called Unstable Vortex which normally is quite hard to hit, as it follows a weird double-ribbon-like pattern. When he has an opponent trapped in portal though, that is about to reappear on the ground, he can easily aim it and hit his combo for devastating damage. When both of you are in the lane remember to take special caution with Plague of Locusts- actually, you won't have much opportunity to use it. It roots you in place for its duration, meaning that a smart Janus will take advantage of this fact- you'll quickly suffer from his Portal into Unstable Vortex combo as it's certain to hit a still target. His ultimate, Through Space and Time fires a ball of energy that deals damage to anyone hit by it in an extremely long line, creating aditionally portals through the walls it encounters. Against this opponent you'll want to have Purification relic available. Probably the only chance for a kill Anubis has in this matchup is when Janus uses his Portal offensively, having thus no escape tool: it is when you want to activate Purification before he has the chance to follow up with his other ability, and use your own combo on him in return. Remember though that he'll also have his own relic of choice. This is going to be a fine test of your abilities. Both of you have the same goal- to make their opponent waste Sanctuary relic, so that the next Death Gaze will result in a kill. Most important thing is to make an efficient use of Mummify, as it has long cooldown while also being a great setup for other abilities- if you can dodge his, you are at advantageous position for the next couple of seconds. Remember that he suffers from the exact same problem as you do- lack of mobility; thus your lane will probably be about positioning wars. Other than that, mirror matches are a great way to practise Anubis gameplay, as you both know what to expect from their opponent. Good usage of Sanctuary will be the final judge in this matchup as it allows survival through the opponent's ability combo, should he decide to try scoring a kill. 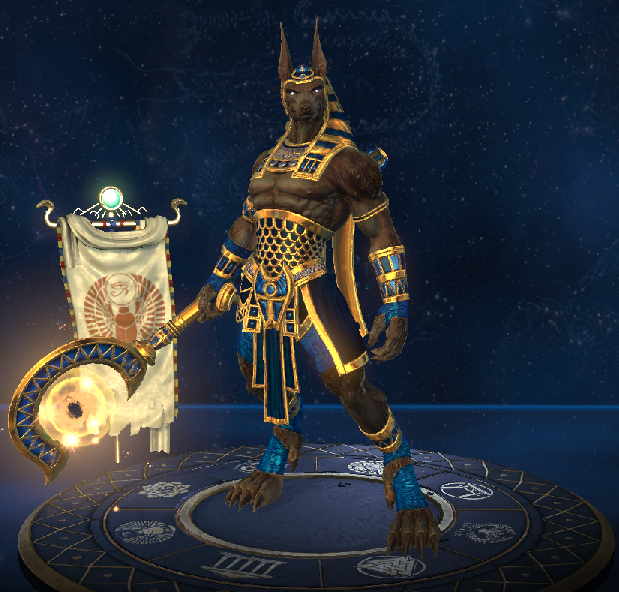 Here are some examples of Tips & Tricks that you may find useful on your quest of becoming a respected Anubis. Probably the most important thing to remember, not only as Anubis but in general: when trying to get a kill, and provided that considered enemy has such ability in their sleeve, unless you saw them using their escape ability always assume it's available for them to use instantly, in order not to waste an ultimate on an enemy that will simply jump out of its range. When you saw them using it recently however, paired with the fact that their relic like Sanctuary is on cooldown as well- then you can attempt trying to score a kill; this time is commonly called Kill Window. If you find yourself out of position while using Death Gaze or Plague of Locusts, you can right-click to cancel them early and move to a more preferable spot. If you're chasing someone with low HP through a narrow path, for example in the jungle, put your Grasping Hands a bit ahead of your prey, that way you'll cut his escape route and he will be forced back by this fact- you can easily finish him with Plague of Locusts then. If you see a Hercules running towards you willing to knock you up to his team using Earthbreaker, you can time your Plague of Locusts to gain knockup immunity for that crucial moment, right click to cancel it right away and retreat. You can use Death Gaze defensively to gain crowd control immunity for example not to get pulled by Ares' No Escape or catched by Fenrir's Ragnarok. Anubis definitely should not be the character responsible for engaging the enemies; keep your distance and strike when the fight has already begun. Sometimes, you're going to find yourself in a scenario where you don't have any chance of escaping, what's even more true because of your limited movement. In such case you have to stand your ground and deal as much damage to the enemies as possible, with Grasping Hands + Plague of Locusts or Death Gaze, sometimes you might be able to win such fight, and even if you fall, you hopefully have dealt enough damage to the enemies that it'll be possible for your team to chase them down and avenge you. You're a walking defence turret for your team. If you see an enemy doing something stupid very brave, like a hunter jumping onto you with his escape ability, you're free to wipe him out instantly with your ability combos. If you see an enemy assassin preparing to strike; like Loki going invisible and heading towards you, or Thor in the air looking at you, you can put Grasping Hands beneath yourself what will either discourage them from doing so, or deal a bit of damage to them and heal you slightly thanks to your lifesteal in case of an attack. Sometimes it might mean the difference between dead Anubis and a dead assassin. Death Gaze pierces through everything including walls, you might be able to kill a low health enemy in such way. Grasping Hands have quite a long range, and can be cast through walls. You can put them over the wall to help your jungler in clearing experience camps in middle lane. Similarly, you can try to cast them over the wall if you're certain enemy team is clearing the camp at given moment, for a chance of stealing some experience and gold or at least poking your enemies without leaving the safety of your lane. There's an option for an advanced, very aggresive start resulting in good first blood potential. Purchasing Talon Trinket as a starting item, which provides 60 magical power right away as opposed to typical 20 from Vampiric Shroud. It all comes down to clearing first 2 waves; as soon as you and your opponent get there you quickly kill all the minions with Plague of Locusts, hitting level 2 and having the option to make a fast decision. Whether to put a point in Mummify, so that your own minions will be dealing serious damage to the opponent, or in Grasping Hands which deal considerable damage while also slowing him, allowing your minions to also make a few attacks- it depends on the opponent's position, and intuition about it comes with time. Thanks to Anubis' high damage it is entirely possible to score an extremely early Gold Fury kill with the help of the jungler without enemies even noticing this fact. A good time to attempt it, to make sure no one will interfere, is when enemy mid laner is going to help his jungler on their back experience camps. Full ability combo including Death Gaze can provide enough damage that the jungler will be able to finish the kill. In case of performing a jungle Anubis game, a thing worth considering is to buy a Blink relic- it'll greatly improve Anubis' ganking capabilities as he does not own any gap-closing abilities. In such case though, ganks are always all-in fights- there's no option to retreat. Well, the skins won't give you much of tactical advantage but appearance also matters, aspecially in games. That's how I discovered Anubis at least. Take a look whether you'll like any particularly. Recolor skin. Can be bought at any time for 100 Gems or 9500 Favor. Golden mastery recolor. Can be bought after achieving god mastery rank for 200 Gems or 9500 Favor. Legendary mastery recolor. Can be bought after achieving god mastery rank for 300 Gems or 12500 Favor. Diamond mastery recolor. Can be bought after achieving god mastery rank for 400 Gems or 15000 Favor. Exclusive convention recolor skin. Currently it's unavailable to obtain, but will probably be contained in Divine Chest at 1/8th chance to roll it. Tier 2 skin. Alters appearance, but doesn't change any animations. Can be bought at any time for 250 gems. Tier 3 skin. Alters appearance and adds custom animation effects. Includes a custom voice pack as well. Can be bought at any time for 400 gems. 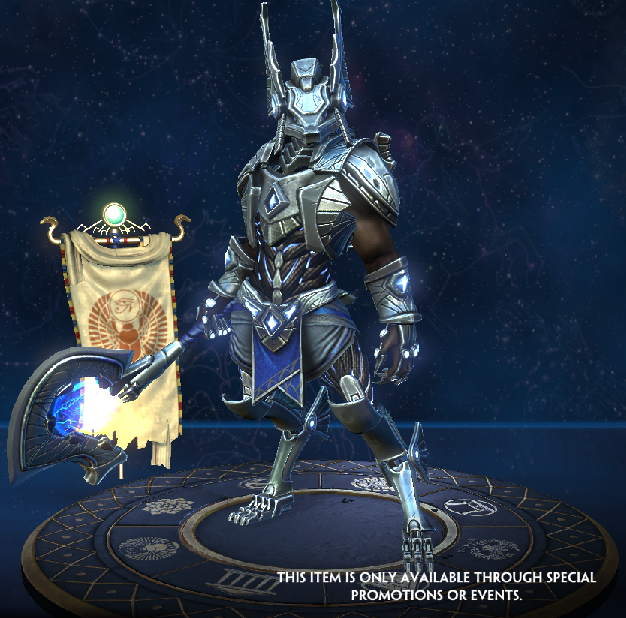 Exclusive recolor of tier 3 Stargazer skin. Alters appearance and adds custom animation effects(same as Stargazer skin). Includes a custom voice pack as well(same as Stargazer skin). Can be obtained from Undying Chest earned via Season 3 Ticket, at 1/6th chance to roll it. Tier 3 skin. Alters appearance and adds custom animation effects. Can be bought at any time for 400 gems. Tier 4 exclusive skin. Alters appearance, adds custom animation effects and implements special visual effects. Includes a custom voice pack as well. Can be earned from Above the Law Chest costing 400 gems, at 1/8th chance to roll it, or from Arcane Chest costing 400 gems, at 1/9th chance to roll it, so its price can differ between 400 and 3600 gems effectively. - changed the wording of some references, for example "recent patch" with "patch 3.1"
As you can see, Anubis is quite an underrated character nowadays as there are more utile and safe options to pick over him, but it doesn't mean he is anywhere close to being useless. Given enough time, as your confidence with Anubis grows you'll learn how to punish your opponents for underestimating you. "The situation is under control." If you menaged to reach this section it hopefully means that you found some of the information and my comments regarding it useful, and if you learned even a single new curiosity I'm happy that I spent my time on this overview. In case you knew most of the information provided already, let it serve as a comparison to your gamestyle and knowledge. I would also greatly appreciate constructive feedback, be it positive or negative, for example if I forgot to mention some crucial fact. Feel free to leave a comment or message me, in game or by a private message. "I may be Anubis, but I am not a noob." 113052 IceColdPappsi "I may be Anubis, but I am not a noob." "I may be Anubis, but I am not Anoobis." 113061 Shlappz "I may be Anubis, but I am not Anoobis." 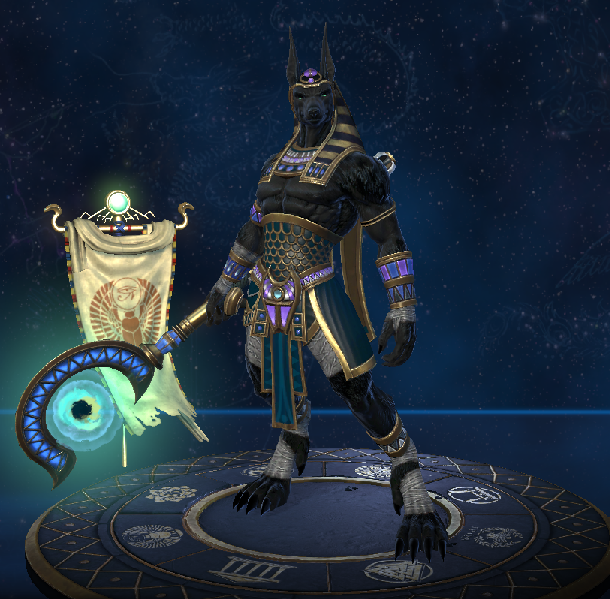 I used to main Anubis around a year ago when I was still playing smite. Now that im getting back into it I stumbled upon your guide. Quick question... When I used to play people would max Q last and only leave 1 point in it since it did enough dmg at rank 1 already. So I would max R>E>W>Q . What changed? 113046 dengil Hey man great guide! 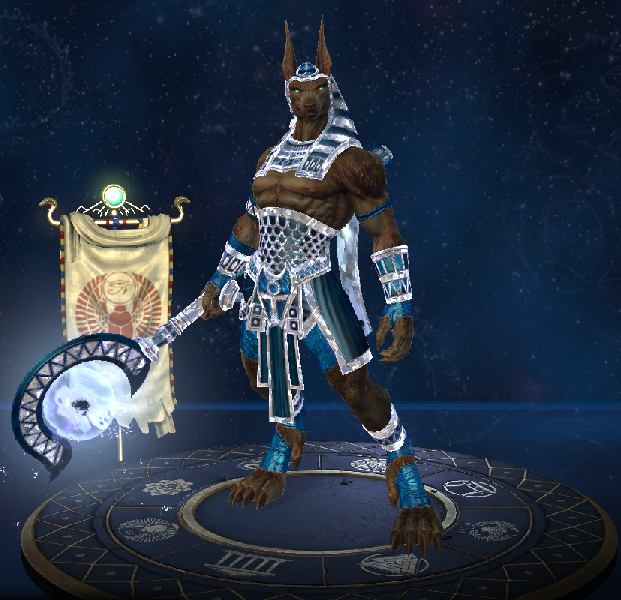 I used to main Anubis around a year ago when I was still playing smite. Now that im getting back into it I stumbled upon your guide. Quick question... When I used to play people would max Q last and only leave 1 point in it since it did enough dmg at rank 1 already. So I would max R>E>W>Q . What changed? So, generally speaking skill levelling can be quite flexible, but I had to set some "default order" as a reference; mainly for beginners as people who know what to do already will have one of their own most likely- because of that I decided to propose the option of prioritising damage over utility, as it yields instant benefits allowing for faster wave/camp clear etc. That being said, it's generally recommended to put second point in Mummify earlier, as then its effects are optimal; a thing worth noting is also the buff that was given to this ability somewhere mid-season- it used to have 18s cooldown reduced down to 14 at max rank, now its 16 to 12; and because of that on approximately second ability level its cooldown is similar to the max rank one back in the day. But there are games where things can change depending on lane opponent/team composition when longer stun can be needed more; sometimes you might also want to level basic abilities before ultimate as you'll get more value out of using them more often. 113050 Daelinn Glad you liked it! So, generally speaking skill levelling can be quite flexible, but I had to set some "default order" as a reference; mainly for beginners as people who know what to do already will have one of their own most likely- because of that I decided to propose the option of prioritising damage over utility, as it yields instant benefits allowing for faster wave/camp clear etc. That being said, it's generally recommended to put second point in [[Mummify]] earlier, as then its effects are optimal; a thing worth noting is also the buff that was given to this ability somewhere mid-season- it used to have 18s cooldown reduced down to 14 at max rank, now its 16 to 12; and because of that on approximately second ability level its cooldown is similar to the max rank one back in the day. But there are games where things can change depending on lane opponent/team composition when longer stun can be needed more; sometimes you might also want to level basic abilities before ultimate as you'll get more value out of using them more often. Hey! Thank you so much for the clarification! 113072 dengil Hey! Thank you so much for the clarification! Love this guide. I typically main support Aphrodite but I've been wanting to switch to mid lane. 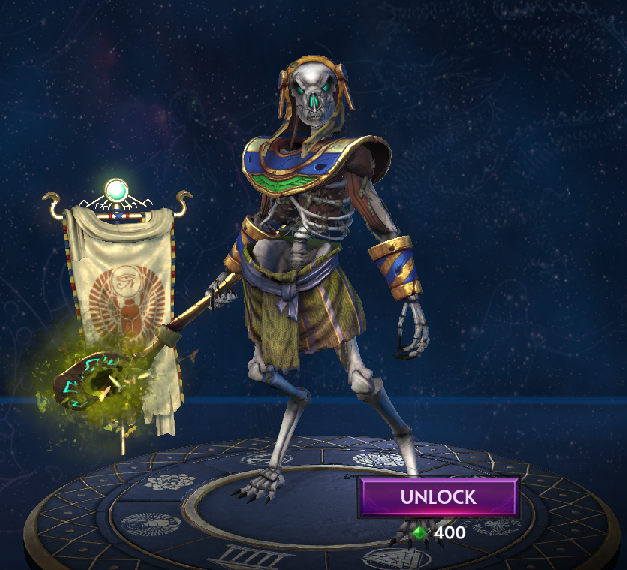 Anubis might be the god I main and get to rank 10 next. Thanks for the guide. 112577 Meta-The Knight Love this guide. I typically main support Aphrodite but I've been wanting to switch to mid lane. 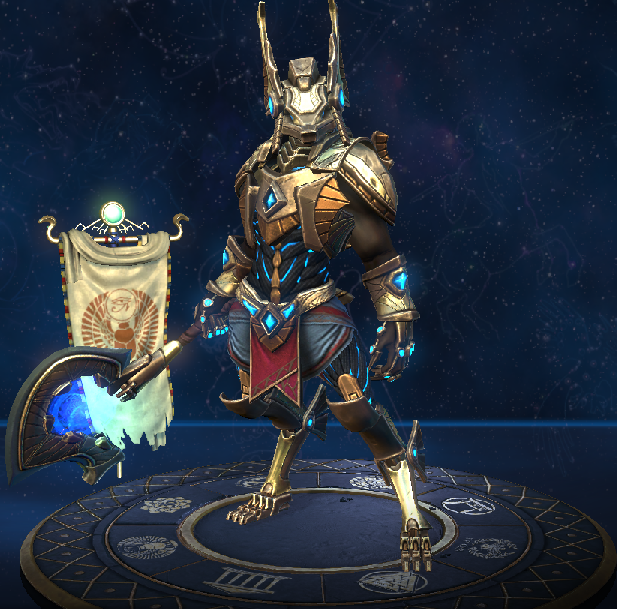 Anubis might be the god I main and get to rank 10 next. Thanks for the guide. 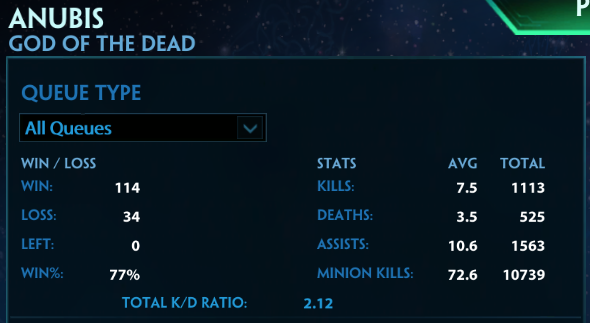 One thing though: Do you have any tips against an Ah Puch? I fought one earlier today and I couldn't even get close enough to land my hits because of his 1+3+2 combo. 110726 xZeroStrike Great guide, and I like the whole layout. The coding looks amazing, and the large amount of time and work that went into it is fairly obvious. [color=#00ff00]+1[/color] One thing though: Do you have any tips against an [[Ah Puch]]? I fought one earlier today and I couldn't even get close enough to land my hits because of his 1+3+2 combo. 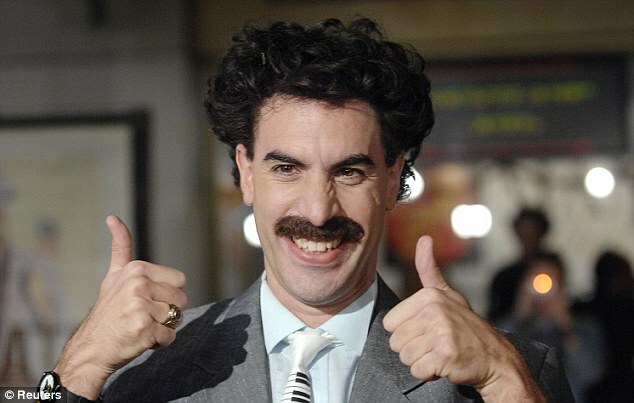 Hey there, thank you for the kind words- glad you liked it. Your question is a good one; I didn't include some of the mages in the matchups section as I found them unpopular (from my experiences at least) and to be honest, I don't think I ever played against an Ah Puch or Nox in mid. But I know well from other modes what it means to fight against Puch as an extremely immobile god. I would say, you have two general options as to play such matchup, which will probably also depend on the junglers and their possibilities. First of all, you could try avoiding contact with him and not put up many fights; he has to spend most of his burst potential on a wave to effectively clear it, where you can just Grasping Hands it at some point and move onto camps or try some rotating. Other option would be to play more aggressively as to take advantage of his mediocre early game, when he only has 1 corpse on Undead Surge, which cuts off a considerable amount of his damage- with red buff Plague of Locusts clears the minion wave at first level already, so he'd be forced under tower from early on, from which point you could take advantage of that and secure as many camps with your jungler as possible. And if he tries to poke you while you are casting Plague of Locusts, he'd just be targetted by your minions whereas his would already be gone- in this case if you're quick enough you put a point in Grasping Hands or Mummify, depending on his location, and that either kills him or takes his Sanctuary. Regarding an actual all-in fight when you both have your ultimates, I think it is possible for Anubis to win it; it would probably require the usage of Sanctuary when he tries to burst you and pops his whole combo- if timed correctly that'd negate majority of his damage, and he wouldn't have any abilities aside from Empty the Crypts (which alone you can live through), while you still have your kit ready- if he has Sanctuary you then pop combo with Grasping Hands, Mummify into Plague of Locusts which will get him low already, and as soon as his Sanctuary (which he's likely to use after Mummify ends) runs out just finish him with Death Gaze. If for some reason he took another active, a full combo of Grasping Hands, Mummify into Death Gaze results in a kill. When fighting him with more people involved a well placed Mummify can seal the deal as he is as much immobile as Anubis but doesn't even have any cc immunity in his kit; letting your frontline to tank upcoming Undead Surge also positively influences your security in next fight. Hope this helps in some degree. 110751 Daelinn Hey there, thank you for the kind words- glad you liked it. Your question is a good one; I didn't include some of the mages in the matchups section as I found them unpopular (from my experiences at least) and to be honest, I don't think I ever played against an [[Ah Puch]] or [[Nox]] in mid. But I know well from other modes what it means to fight against Puch as an extremely immobile god. I would say, you have two general options as to play such matchup, which will probably also depend on the junglers and their possibilities. First of all, you could try avoiding contact with him and not put up many fights; he has to spend most of his burst potential on a wave to effectively clear it, where you can just [[Grasping Hands]] it at some point and move onto camps or try some rotating. Other option would be to play more aggressively as to take advantage of his mediocre early game, when he only has 1 corpse on [[Undead Surge]], which cuts off a considerable amount of his damage- with red buff [[Plague of Locusts]] clears the minion wave at first level already, so he'd be forced under tower from early on, from which point you could take advantage of that and secure as many camps with your jungler as possible. And if he tries to poke you while you are casting [[Plague of Locusts]], he'd just be targetted by your minions whereas his would already be gone- in this case if you're quick enough you put a point in [[Grasping Hands]] or [[Mummify]], depending on his location, and that either kills him or takes his [[Sanctuary]]. Regarding an actual all-in fight when you both have your ultimates, I think it is possible for [[Anubis]] to win it; it would probably require the usage of [[Sanctuary]] when he tries to burst you and pops his whole combo- if timed correctly that'd negate majority of his damage, and he wouldn't have any abilities aside from [[Empty the Crypts]] (which alone you can live through), while you still have your kit ready- if he has [[Sanctuary]] you then pop combo with [[Grasping Hands]], [[Mummify]] into [[Plague of Locusts]] which will get him low already, and as soon as his [[Sanctuary]] (which he's likely to use after [[Mummify]] ends) runs out just finish him with [[Death Gaze]]. If for some reason he took another active, a full combo of [[Grasping Hands]], [[Mummify]] into [[Death Gaze]] results in a kill. When fighting him with more people involved a well placed [[Mummify]] can seal the deal as he is as much immobile as [[Anubis]] but doesn't even have any cc immunity in his kit; letting your frontline to tank upcoming [[Undead Surge]] also positively influences your security in next fight. Hope this helps in some degree. Thank you for the information. I did beat the Ah Puch a couple of times, but most of the time he would either get me really low or insta-kill me using his combo (excl. Empty the Crypts, ultimate ability). I will defenitely try to take note of the points you mentioned. It is kind of a bummer that in your tips you rely alot on Sanctuary though, which has a relatively long CD time. 110946 xZeroStrike Thank you for the information. I did beat the [[Ah Puch]] a couple of times, but most of the time he would either get me really low or insta-kill me using his combo (excl. [[Empty the crypts]], ultimate ability). I will defenitely try to take note of the points you mentioned. It is kind of a bummer that in your tips you rely alot on [[Sanctuary]] though, which has a relatively long CD time. Thanks again. I agree that u said that he has a hard time in ranked scene because more exprience players now how to counter goobis ez. But hes kinda the same as zues some peopme recomand to do thse 3 things if u want to learn anubis:1go in the jungle role 2 use a bruiser build 3 learn how to use zoos joos first. But i won't recomand using him in jungle IF u want to play in him in mid if u want to be good with anubis in general than do it. 106530 IntellOyell I agree that u said that he has a hard time in ranked scene because more exprience players now how to counter goobis ez. But hes kinda the same as zues some peopme recomand to do thse 3 things if u want to learn anubis:1go in the jungle role 2 use a bruiser build 3 learn how to use zoos joos first. But i won't recomand using him in jungle IF u want to play in him in mid if u want to be good with anubis in general than do it. That sounds like fun! Does it work well enough to use in ranked? I would say that in general, Anubis has quite a hard time in competitive ranked games- in comparison to all of the Janus, Isis and Sol picks; which are in general more safe and forgiving, but then again it depends on the player and division as well; I don't remember exactly where so I can't quote him, but someone estimated the Gold division to be the reference border. Below it, Anubis gameplay won't differ much from casual games, but above it people are most likely familiar with the game enough as to counterbuild- a Divine Ruin would cripple such build quite significantly, not to mention the case when the opponents would be on some sort of communication device- the focus would be ridiculous. To overcome these obstacles one would have to be exceptionally good with positioning- Anubis is unforgiving in that regard. Also, a thing that might prove helpful would be the allied jungler pick- I have found Ne Zha and Fenrir (also Thor to some extent) cooperating really well with Anubis- they can provide many kill opportunities (and some peel) with their stuns, giving Anubis a free aim with Mummify followed by damaging abilities. A bruiser build may as well be the solution to Anubis' innate squishyness- of course you probably won't be able to do all of the infamous Mummify+ Death Gaze one-shots as in case of a glass-cannon build but the damage would still be relevant, and very stable- allowing to stay in lane/teamfights longer. Actually, in my personal opinion I would say that a defence item on Anubis is rather crucial regardless. But back to the topic, double lifesteal is quite a popular option in general, yet I have found it unable to help under some circumstances- it won't mean much when CC'd and burst down. That's the reasoning behind Hide of the Urchin- to give that bit of HP and some protections, allowing for better survival potential. 106512 Daelinn [quote=Technotoad64] That sounds like fun! Does it work well enough to use in ranked? [/quote] I would say that in general, [[Anubis]] has quite a hard time in competitive ranked games- in comparison to all of the [[Janus]], [[Isis]] and [[Sol]] picks; which are in general more safe and forgiving, but then again it depends on the player and division as well; I don't remember exactly where so I can't quote him, but someone estimated the Gold division to be the reference border. Below it, [[Anubis]] gameplay won't differ much from casual games, but above it people are most likely familiar with the game enough as to counterbuild- a [[Divine Ruin]] would cripple such build quite significantly, not to mention the case when the opponents would be on some sort of communication device- the focus would be ridiculous. To overcome these obstacles one would have to be exceptionally good with positioning- Anubis is unforgiving in that regard. Also, a thing that might prove helpful would be the allied jungler pick- I have found [[Ne Zha]] and [[Fenrir]] (also [[Thor]] to some extent) cooperating really well with [[Anubis]]- they can provide many kill opportunities (and some peel) with their stuns, giving Anubis a free aim with [[Mummify]] followed by damaging abilities. A bruiser build may as well be the solution to [[Anubis]]' innate squishyness- of course you probably won't be able to do all of the infamous [[Mummify]]+[[Death Gaze]] one-shots as in case of a glass-cannon build but the damage would still be relevant, and very stable- allowing to stay in lane/teamfights longer. Actually, in my personal opinion I would say that a defence item on Anubis is rather crucial regardless. But back to the topic, double lifesteal is quite a popular option in general, yet I have found it unable to help under some circumstances- it won't mean much when CC'd and burst down. That's the reasoning behind [[Hide of the Urchin]]- to give that bit of HP and some protections, allowing for better survival potential. It basically would be a bruiser- Zhong Kui style, with decent protections, and with addition of Sorrow and high lifesteal it might work under some circumstances, I suppose. Plus, literally nobody expects Anubis to be tanky. 106465 Technotoad64 [quote=Daelinn] [quote=Nightl0ck9] You should do a lifesteal build. you survive everything [/quote] It basically would be a bruiser- [[Zhong Kui]] style, with decent protections, and with addition of [[Sorrow]] and high lifesteal it might work under some circumstances, I suppose. Plus, literally nobody expects [[Anubis]] to be tanky. [/quote] That sounds like fun! Does it work well enough to use in ranked? I don't have much time at the moment as to test it in a normal game, but I experimented a bit in Jungle Practise and menaged to assembly a decent build in this theme, in case You were interested. Of course I guess one could swap the item purchase order a bit, as long as Hide of the Urchin would be bought quite early into the game to allow it to stack. 106433 Daelinn [quote=Nightl0ck9] You should do a lifesteal build. you survive everything [/quote] I don't have much time at the moment as to test it in a normal game, but I experimented a bit in Jungle Practise and menaged to assembly a decent build in this theme, in case You were interested. It basically would be a bruiser- [[Zhong Kui]] style, with decent protections, and with addition of [[Sorrow]] and high lifesteal it might work under some circumstances, I suppose. Plus, literally nobody expects [[Anubis]] to be tanky. It would consist of: -[[Shoes of the Magi]] -[[Bancroft's Talon]]- passive will have enough time to be useful with increased survivability -[[Hide of the Urchin]]- secret weapon of this build- raises protections of both types to above 100, which yields high damage mitigation overall -[[Pythagorem's Piece]]- It overcaps lifesteal a bit (9%) but paired with Bancrofts' passive it makes [[Anubis]] regain his HP at tremendous speed when nearing death, and the other lifesteal choices are sub-optimal -[[Obsidian Shard]] -[[Rod of Tahuti]]- when it comes online damage becomes significant, not much worse than in a normal build Of course I guess one could swap the item purchase order a bit, as long as [[Hide of the Urchin]] would be bought quite early into the game to allow it to stack. Performed a variety of graphical upgrades- feedback would be greatly appreciated!